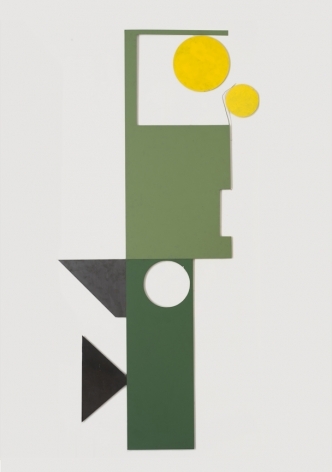 Sundaram Tagore Gallery is pleased to present "Thoughts of Form and Color" by Merrill Wagner. The exhibition opens with a cocktail reception September 25, from 6:30 – 8:30 PM and closes October 25, 2008. 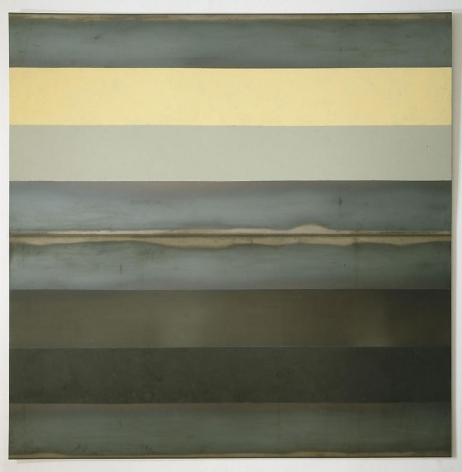 Gallerist Sudaram Tagore stated, "The power of Merrill Wagner's work emerges from the inherent tension between the industrial and the natural that endows the work with a certain power." 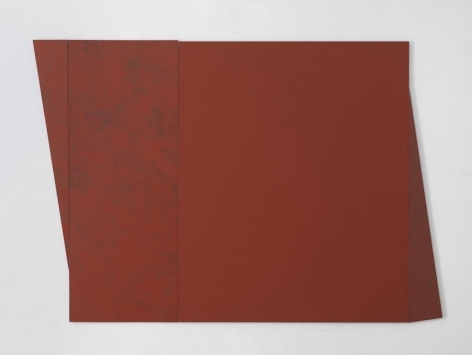 Wagner's oeuvre explores the possibility of steel and slate as a painterly surface. Wagner begins with found materials, either die-cut scraps of steel, or pieces of slate, and transforms them into abstract landscapes or flowers. She imbues the surface with an unexpected softness yet still maintains an architectural form. Painted directly from nature, her forms allude less overtly to geometry than to a structural topography. 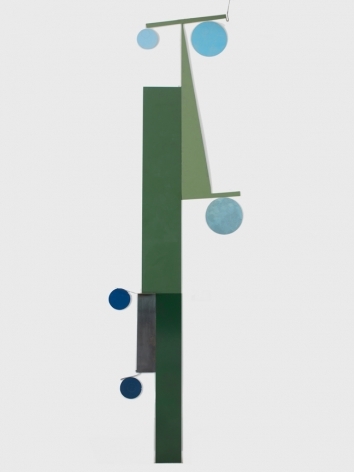 Her assemblages are suspended by magnets giving them a floating quality. Her innovative utilization of the dichotomy between the softness of the pigments and her subject and the rigidity of her surface has earned her the acclaim of the art world. 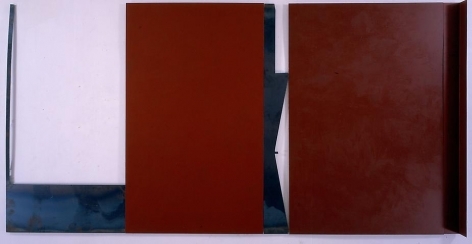 Roger Boyce noted of her work in Art in America, "The material gravity and the anonymous aesthetic of the industrially manufactured [materials] stand in for the assertive indifference and receptive sublimity of nature." 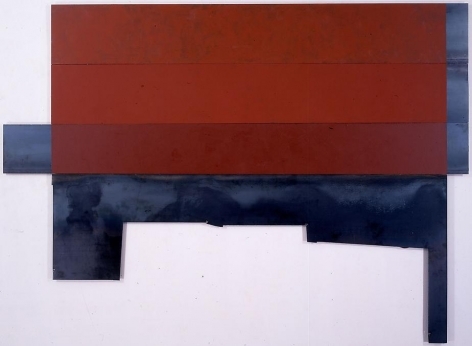 Robert C. Morgan wrote, "There is an illusory aspect to these steel surfaces created through paint, a tangential relationship of the planes, and a fixing of their physical supports." Merrill Wagner is originally from Seattle, and was influenced by the extraordinary landscapes found there. Her work is reminiscent of minimalist traditions and embodies the meaning of en plein air. When approaching her work, they either reflect or absorb the light, adding movement and dimension to the painting. 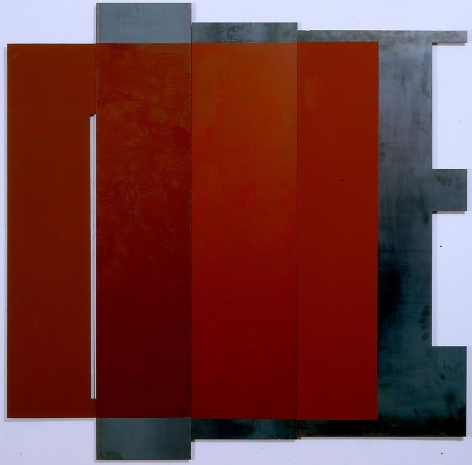 She explores the surface of metal and slate, utilizing the natural geometric patterns, marks and colors to create paintings that reflect her environment. Wagner's paintings represent unalterable aspects of landscape yet the merging of forms into distant spaces. Wagner is one of the most prolific female artists today and a highly respected and integral part of the New School of Art. She was one of the original Guerilla Girls (along with Alanna Heiss), and founding director of PS1 MOMA in New York. Her major museum exhibition contributions include the Corcoran Museum, the Museum of the University of Wyoming, the Rose Art Museum and the Nicolaysen Museum. 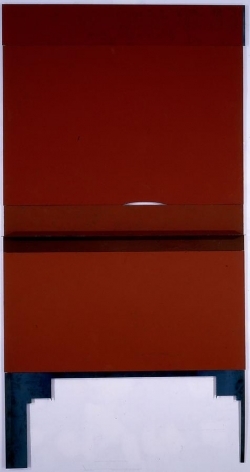 Her work is included in prominent collections such as the Whitney Museum and the American Museum of Arts and Letters. For More information please contact Emily Beck via email at emilybeck@sundaramtagore.com or at 212-677-4520. "Thoughts of Form and Color brings together two major strains in Wagner's work with a minor third. 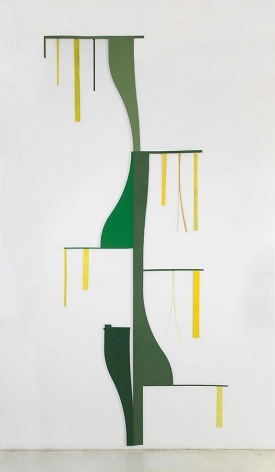 The large cut-out wall pieces, evocative of plant life, comprised her last solo exhibition at Tagore, which integrated some freestanding sculpture (the minor third) but excluded the more classically geometric abstractions found here."